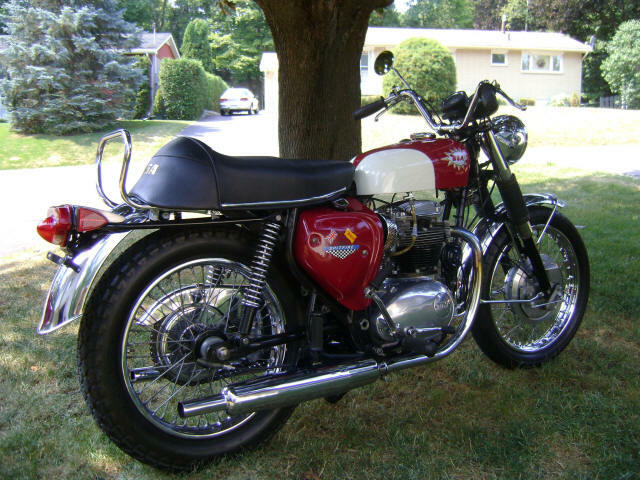 1966 BSA Spitfire 650: Restored. 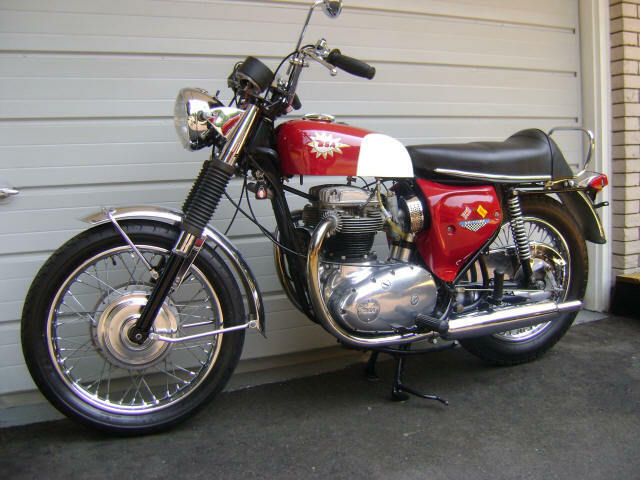 For Sale is a 1966 BSA Spitfire 650. It has received a complete frame up restoration. All new professional paint w/clear coat, excellent chrome. '66 Lightning engine has been rebuilt from the bare cases on up. All new bearings, pistons, valves, gaskets, seals, etc. Rebuilt front forks. New seat, wiring, mufflers, air cleaners, levers, cables... you get the idea. Upgrades to the original bike include a later DLS front wheel and fork assembly, concentric carbs, hy-vo primary set (the bike looks like a '68). This bike has only been ridden for 15 miles since restoring it 10 years ago and has been part of my collection. It is time to downsize and I've decided to let the Spitfire go. It is currently running well and ready to go complete with registration papers. Rare opportunity to purchase this seldom seen Spitfire model that was the top of BSAs line at the time. 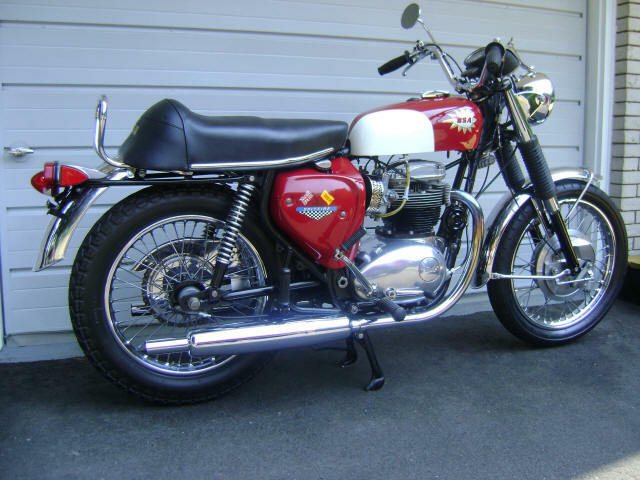 Asking $7800 (one could not restore this bike for the price).